Beloved East Side Chicana activist Sylvia Baray was born at Santa Marta Hospital in East Los Angeles, October 16, 1937. She passed away this January and was both mourned and lauded by friends, coworkers and colleagues at a funeral mass conducted by Father Ramón Farré at Santa Teresita Parish in the Hazard neighborhood of Boyle Heights. The Baray family migrated to Los Angeles in the 1920s from Morenci, Arizona where her grandfather worked in the copper mines, say surviving members of her family. They took up residence near Hazard Park, officially a part of the historic Boyle Heights community. She attended Murchison Street Elementary School and graduated from Lincoln High in 1956. She earned an Associate of Arts degree from ELAC and attended CSULA where she studied social sciences as part of her commitment to social welfare. Survivors include: her son, David Cortez, and a daughter-in-law, Carla Cortez of Rancho Cucamonga; her sister Beatrice “Betty” Baray and devoted niece Sylvia Baray, and her grandchildren Matthew and Cristina. Ms. Baray was 77 years old. Sylvia Baray was a community activist whose life experience was informed by the issues and social movements with which she was involved. She was one of the unsung movement heroes whose legacy is cherished by friends and associates. Rosalío Muñoz, the founder of the Chicano Moratorium Committee during the anti-Vietnam War era, recalls Sylvia as “one of the soldaderas,” a dedicated worker behind the scenes. 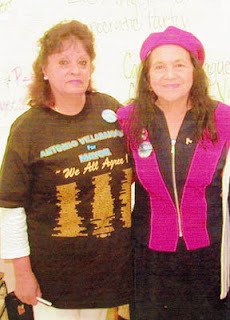 She participated in discussions of major issues, such as cases of police brutality and helped organize the 1970 march down Whittier Boulevard to Laguna Park (now Salazar Park) that culminated in a confrontation with Los Angeles County Sheriffs—a clash that led to the killing of four people, Gustav Montag, Lyn Ward, José Diaz, and widely known reporter and LA Times columnist, Ruben Salazar. In addition, she was the reason a great many people received discounted dental care, even convincing Dr. Lewis to provide emergency care free of charge for indigent patients. 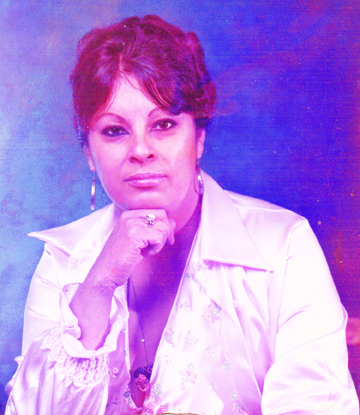 Human rights activist Coqui Rodriguez, remembers Sylvia Baray with admiration and fondness as a member of the LA Committee To End Forced Sterilizations and the committee to Free Los Tres—three vatos who had the audacity to challenge drug dealers in the Pico-Aliso housing projects in the 1970s. “She arranged events and helped raise a lot of funds for important issues,” Rodríguez adds. Sylvia was a single mom who worked hard and did all she could for her son David. She took him to visit his great-grandfather in Guadalajara, Mexico, then to Mexico City where he climbed the pyramids of Teotihuacan. In the Mexican capital, he also visited museums where he was able to learn more about his culture. While he was a student at Murchison Street School, his mother became active in the PTA where she “fought tooth and nail” for the first Free Lunch program. According to him, she met with formidable resistance from a conservative teacher who adamantly opposed social welfare programs for the poor and working class. Ironically, this teacher was charged with educating children from the Ramona Gardens housing project. The majority of the resident families earned far below the official poverty level as determined by the federal government. “This was one of the first battles that she fought and won,” says Cortez. As a child of a Movement mother he attended certain seminal events. When Senator Robert Kennedy came to Los Angeles in 1968 to court the Mexican-American vote in his presidential bid, David was able to shake the candidate’s hand in Boyle Heights. On a more positive note he remembers the firebrand attorney Oscar Zeta Acosta, “the Brown Buffalo” and author of the semi-autobiographical novel The Revolt of the Cockroach People visiting his home. He recalls the vivid presence of the larger than life political militant and candidate for LA County Sheriff. In 1962, all the “pachangeros” would go, according to Ray Andrade, to the Hollywood Palladium to see the latest East coast acts, like Celia Cruz, Joe Cuba, Tito Puente. Sylvia and her group of girlfriends were popular dancers who celebrated life with the same passion that they brought to the movement. Many of the women in Sylvia’s set also contributed significantly to the growth and success of the emerging Chicano Movement. Andrade was stationed in Vietnam in 1967 and 1968 where soldiers appreciated letters from home as lifelines and morale boosters. Sylvia was the only person that regularly wrote to him with news from the barrio. After being discharged from the US Army, he landed in Los Angeles, still confined to a wheel chair. Sylvia was the only person there to greet him. She was thoughtful in that way, Andrade says thoughtfully, with more than a touch of gratitude in his voice. He credits Sylvia Baray and Tony Salazar (another movimiento leader and Margaret Salazar’s brother) for recruiting him to the Movement. Andrade was a founding member of Justicia, an organization that fought stereotypes in the media. He tells the story of picketing the 1972 Academy Awards at the Music Center the year John Wayne won an Oscar. As he was distributing protest fliers with Sylvia in the bleachers, some guy shoved him, knocking him off balance. “Sylvia got pissed off and slugged the guy on the jaw. She was tough,” Andrade says. Many of our activist brothers and sisters have gone quietly into the eternal night without recognition of the crucial roles they played in the pursuit of justice, integration and the evolution of opportunities and services for Latinos everywhere. Tragically, she was struck by a vehicle while crossing the street at Five Points in Lincoln Heights. She lingered in a coma for two weeks and then passed away on December 30, 2015. The driver of the vehicle stopped but has not yet been charged. Sylvia Baray’s tragic death is cause for us to reflect on the fact that a generation of soldados por la causa has already left us, with more to follow. Memorial services for Sylvia Baray were held on, Saturday January 30th at Santa Teresita Parish on Murchison Street in the heart of the neighborhood and across the street from the Ramona Gardens housing projects where Baray often volunteered. Among the guests were lifelong friends like Margaret Salazar, who recalled Silvia’s adoration of musician Carlos Santana when guests were invited to offer a few words or share memories of the vivacious community and political activist. Several prominent activists and members of the Greater East Side community remembered Sylvia Baray fondly and acknowledged her deep passion for the well-being of her community. Former Brown Beret, immigrant rights activist and long-time Boyle Heights Neighborhood Council member Carlos Montes praised Sylvia Baray as a leader and a good-humored friend as did Ray Andrade , who recalled having grown up with Sylvia as an honorary older sister. Guests included Antonio Rodriguez, Jorge “Coqui)” Rodriguez, Isabel Rodriguez, Richard “Gato” Rodriguez, Jacobo Rodriguez, Carlos Callejo and Walk-out leader BobbyVerdugo. Jaime “Jimmy” Rodriguez, a former California Senate staffmember, presented a post-humous recognition from the Los Angeles City Council honoring Baray for her spirit of civic engagement. The Rodríguez brothers were integral founding members of Casa Carnalismo, another one of the many local Eastside service organization with which Baray became active as a volunteer during the years which are now widely regarded as the heyday of the Chicano Movement. The funeral mass for Baray was followed by a reception in the community room at the Sacred Heart School in Lincoln Heights.